1. Create required list in EasySendy and form in Contact Form 7. 2. Upload “WP EasySendy Form Integrator” plugin into your WordPress plugin setup. 4. Create New API Key or select an existing one. 5. 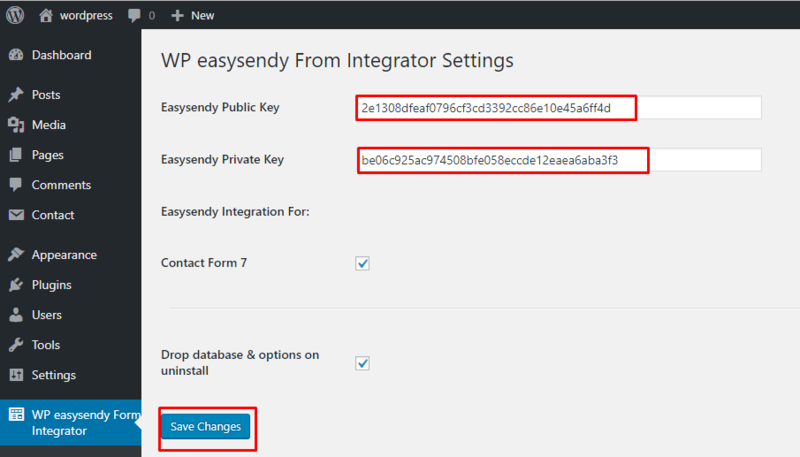 Go to “WP EasySendy Form Integrator” Settings page and use your EasySendy Public and Private key, select Contact Form 7 and click on Save Changes. 6. Go to “WP EasySendy Form Integrator” > Add New. 7. Select Contact Form 7 from drop down and continue. 8. Now select the Contact Form 7 form which you want to integrate with EasySendy, and also select EasySendy List in which you want to send Contact Form 7 data. 9. Continue to next screen. Here you can map the form fields. Once, you are done with above steps; click on Finish. Now you are done with the integration! 10. 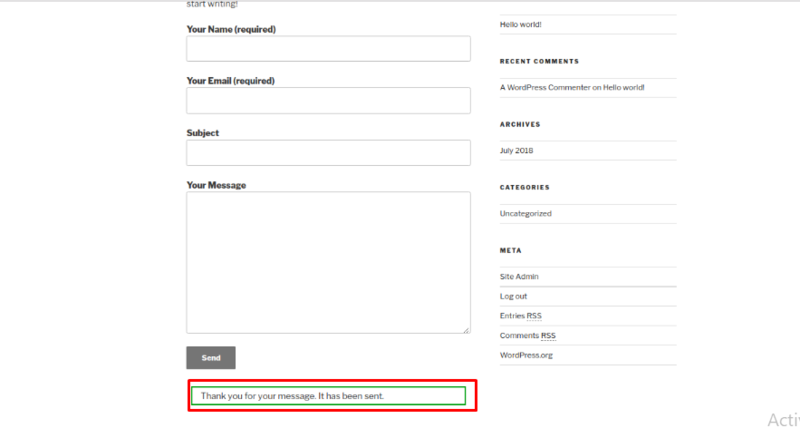 In WordPress, Click on Contact Forms and Select the form which we have mapped with EasySendy and copy the shortcode. 11. Paste the form shortcode in any of your post. 12. On your post, you will see the Contact Form 7 form which you had selected. 13. As soon as you click ‘Send’ button your data will be sent to EasySendy list.